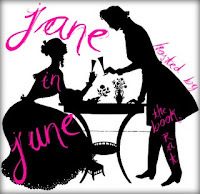 I really tried to get all of the giveaways for Jane in June up and running before the 25th, so you all would have time to enter by the end of the month. But there was just too much awesome to contain, and it couldn't happen, so now - it's bursting. Needless to say, there will be a fair few books and bits up for grabs today. Including over a dozen stories from both emerging and established Regency romance authors, this new anthology celebrates Jane Austen with a series of brilliant adaptations. Austen’s masterpiece has spawned an entire genre of literature, and The Road to Pemberley brings together the best of the best from published and new writers alike to create a cornucopia of Darcy-and-Elizabeth intrigues. 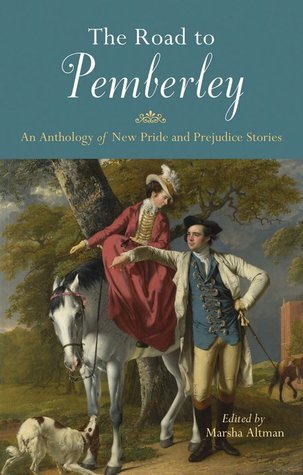 England during the Regency Era, with its country estates, horse-drawn carriages, and formal balls, continues to captivate modern readers and The Road to Pemberley brings this fabled world to life in all its glory. Each author casts Darcy and Elizabeth in their first full year together at Pemberley, where the storied husband and wife find themselves in the throes of the newlywed experience, navigating a host of new social quandaries, old personal dilemmas, and exciting adventures. The comings and goings on their grand estate present endless challenges for Elizabeth and Darcy. Can they avoid scandal given the recent arrival of Mr. Darcy’s illegitimate brother Grégoire, Mr. Bennet’s advancing years, the younger George Wickham’s coming of age, and Dr. Maddox’s departure from his position with the Prince Regent even as his many secrets threaten to be discovered? After her disastrous trip to the continent resulted in a passionate romance and an unintended child, Mary Bennet finds herself back in England, living with the shameful title of unwed mother. Having given up on ever finding love, Mary is shocked to find herself pursued by a proper gentleman. But are his intentions true, or is Mary being led astray by her heart once again? Leaving his sheltered, peaceful life at a Benedictine cloister, Grégoire enters a world he never imagined. Thrust into Regency England’s secular society, Grégoire is overwhelmed. How can an inexperienced, single man stay true to himself while finding his place in a culture obsessed with matrimony? HUGE thanks to Ulysses Press for providing this generous giveaway! These two books are great! I recieved review copies and loved them both. Good luck to everybody who enters! I Tweeted a link to this post. Thanks for the giveaway! These look great! Thanks so much for the giveway!! thank you to UlyssesPress for the books!!!! LOVE all of Marsha's stories! 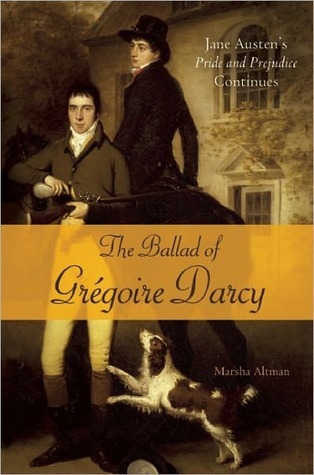 I posted a notice at Goodreads in the Pride and Prejudice Sequels > win Altman's latest books! wished everyone good luck ... but hope I win too! I would love to win both of these books! Both novels sound wonderful. I've spread the word with my book club's facebook page.